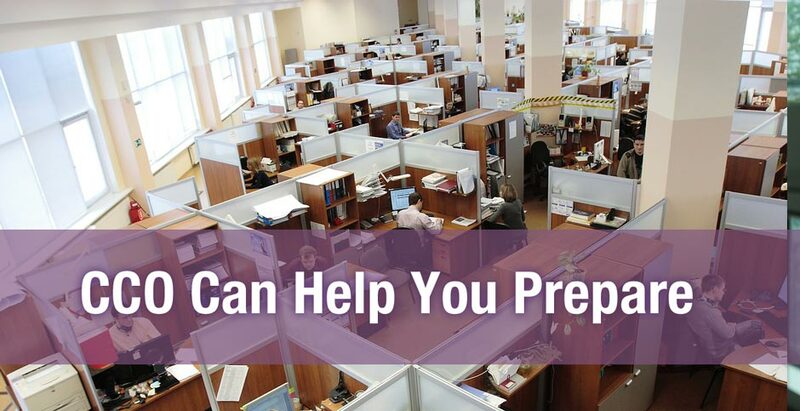 Has your job started testing for ICD-10-CM proficiency? Or maybe you're not sure if you've truly grasped ICD-10-CM coding and are looking for a way to test your real-world knowledge? Don't worry, you're not alone and many students end up investing in our ICD-10-CM Practice Exam in order to test their knowledge and competency in ICD-10-CM. 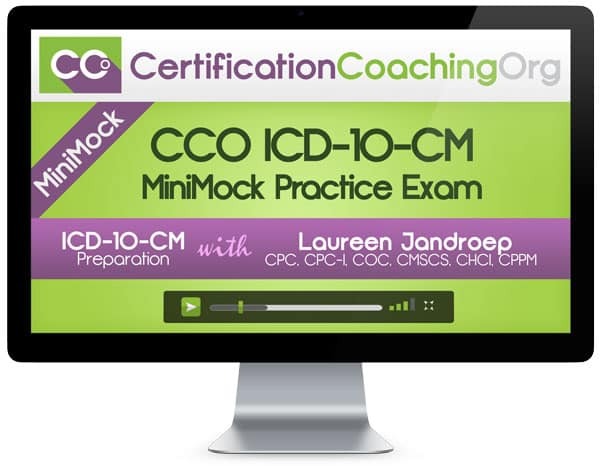 Why Are The CCO Mini-Mock ICD-10-CM Practice Exams So Effective? All CCO Instructors are CPC® Certified and have previously sat and passed the ICD-10-CM Proficiency exam. With our combined experience, we have first hand knowledge of what you need to know for on-the-job ICD-10-CM coding and these practice tests mimic the experience as closely as possible. We've gone through a lot of trouble to verify our Mini-Mock ICD-10-CM Practice Exams are accurate and correctly coded. We have each question reviewed by 3 instructors before they're approved. And most of these cases can be seen in the real world. You know what's frustrating? Getting an ICD-10-CM answer wrong and not knowing why. That's why CCO has included full rationale with every ICD-10-CM question in our test. So don't worry, if you get any questions wrong, you'll know why. All our Mini-Mock ICD-10-CM Practice Tests are immediately available online from any internet-enabled device in the world. So once you've completed the test, you'll immediately know your score. All our Mini-Mock ICD-10-CM Practice Tests are available online you can retake them as many times as you like. Please note, however, that the questions will not change with each retake. We provide 9 months of access to our Mini-Mock ICD-10-CM Practice Tests so there is no need to rush through all the questions at once. You can set your schedule and practice on your own convenience. If you're the type of person that likes to work with pencil and paper, don't worry. We provide a printable version of the Mini-Mock ICD-10-CM Practice Test so you can take your test anywhere a pencil and paper is allowed. Can't finish the test in one sitting? No worries! We provide a helpful “Save and Resume” feature with every Mini-Mock ICD-10-CM Practice Exam so you can stop and resume the test whenever you like. Once you've passed our Mini-Mock ICD-10-CM Practice Exam, you will be able to instantly download a Certificate of Completion which will contain your name, the name of the test and your passing score. Join Over 700+ Satisfied CCO Practice Exam Students! What is the difference between the Rubellite and Serpentine Exams? Each exam contains a separate set of questions. We used the names “Rubellite” and “Serpentine” so students can distinguish the exams from each other. Do the questions change every time you retake the same exam? No, the questions will not change. Each exam is programmed with only 60 of the same questions. If you suspect you will need more questions, we recommend investing in the 2 Exam Bundle so you can access 3 different tests. Does the Practice Exam have to be completed at one sitting? No. We provide “Save and Resume” functionality so you can return to the test later for completion. Do I get a score and rationale for each question? Yes. When you finish the test, at the bottom of the test, click on “Submit Your Answers” and you will be shown your results instantly. The rationales to each question can be seen by scrolling down. Is the practice exam instantly available? Yes! All our exams are instantly available online wherever internet is available. After you complete your purchase, you'll receive an email containing your login details. Yes, we provide a printable version of the exam but you will need to return to the online version later to input your answers and receive your score.